Marking the beginning of the 2018 Classe Figaro Bénéteau season, Wednesday 14th will see the start of the Solo Maitre Coq with British skippers Hugh Brayshaw, Nick Cherry and Alan Roberts lining up on the start line in Les Sables d’Olonne, France. 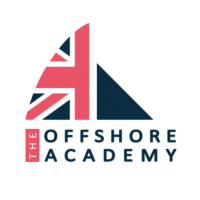 After a busy winter of training, maintenance and physical preparation in the UK, Brayshaw and Cherry, both managed by The Offshore Academy moved their on-water training to France in early 2018, testing their speed and improving their boat handling against fellow Figaro skippers. The 2018 Maitre Coq will comprise a day of inshore racing on Wednesday 14thwith the offshore element beginning on Thursday. The 350-mile course traditionally takes the competitors south towards La Rochelle rounding Ile de Re before heading north to round the lighthouse of Birvideaux and Belle Ile before returning southwards to the finish in Les Sables d’Olonne. The first test of the season will see the fleet navigating the complex course over two nights at sea with the leaders arriving at the finish some time on Saturday 17th. Whilst Hugh has secured budget to compete this season and confirmed his spot on the La Solitaire URGO Le Figaro start line later this year, The Offshore Academy is continuing the search for additional funding to complete Hugh’s campaign budget, with travel, accommodation, sails and equipment all needing additional funding.